The layout in your office may seem like a passing concern. As long as you can fit the number of workstations needed to accommodate headcount, does it really matter which cubicles you use or how you arrange them? As a matter of fact, the layout of your workspace can impact performance, productivity, and employee morale, so choosing a suitable layout and using the right elements is hugely important if you want your operation to be efficient and profitable, and you hope to retain talent. 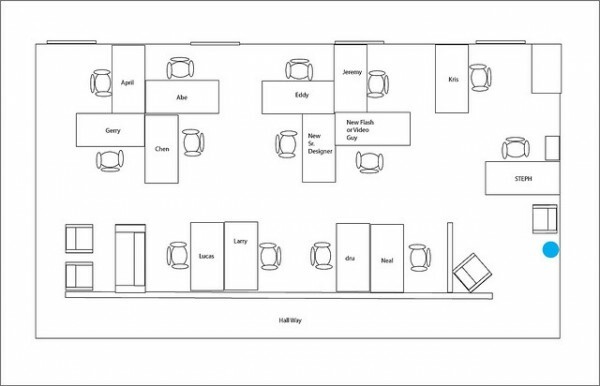 How do you go about choosing the right cubicles for your office space? Here are a few things to consider. From a purely practical perspective, you shouldn’t purchase cubicles until you’re sure they’ll actually fit in available space. You need to measure the square footage in your office to ensure that the number and size of cubicles you have in mind will actually fit. If not, you might need to select a different product or consider expanding your workspace to fit more cubicles and employees. Don’t forget to measure furniture, as well. 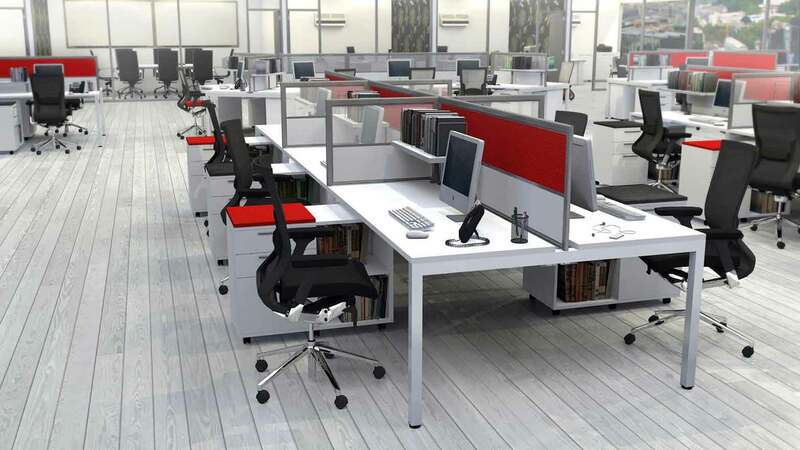 Whether you have existing furniture or you’re planning to purchase desks and other needed furnishings to fill your office, it’s important to make sure the design elements in your office all work together before you buy. What is it your employees do? Their tasks could determine the size and shape of cubicles you choose. Does the average employee need multiple monitors, myriad equipment and devices, and plenty of storage space, including filing cabinets, drawers, and shelves? Or do employees use simple enough setups that two people could reasonably share a single cubicle space with a desk on either side? 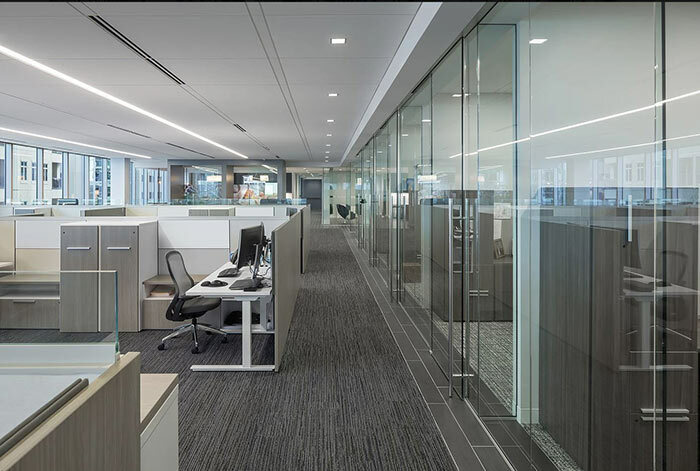 Your corporate culture and the way you envision employees interacting with each other and the space could have a major impact on the cubicle design you choose. For example, do employees frequently collaborate as teams or do they mostly work solo? Is your company’s work philosophy more traditional or creative in nature? In other words, do you encourage employee interaction or do you expect them to hunker down and get work done in silence? You also need to consider how you want light and sound to flow through your space. Should cubicles provide seclusion so workers can focus on their tasks, or do you want an open environment that facilitates conversation and creative thinking? 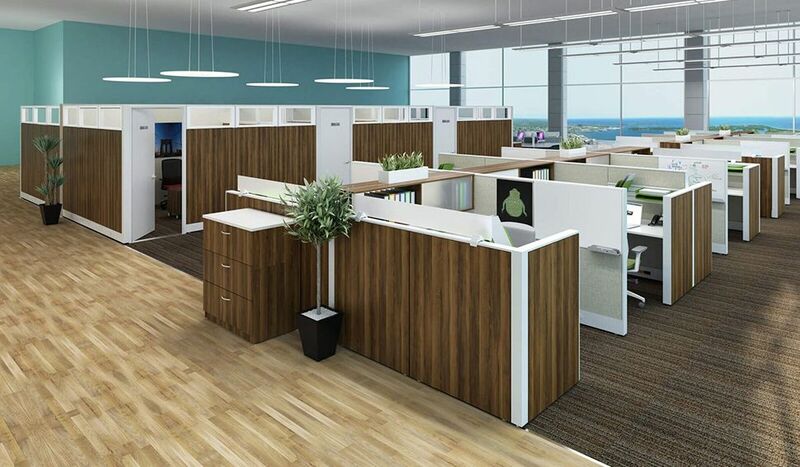 When you take the time to consider your space and furnishings, how the space will be used, and the behavior you expect from employees, you’ll have a much easier time choosing suitable cubicles for your workspace. Natural light is much better for the human eye than fluorescent light. The latter can cause headaches and eye strains. Additionally, natural light helps to control your melatonin levels. This affects how focused and alert one feels. The more your employees are exposed to natural light, the more alert they will feel; this, in turn, will boost productivity. Be conscious about how you use the space in your office. Employees should be able to move about freely and furniture should be situated in a way where, if an emergency arises, people can exit the office in a safe and quick manner. For many, storage is often the last thing that is considered when they are redesigning an office. However, storage should be prioritized. By ensuring your office has ample storage, clutter will be reduced. This will allow employees to work in a more efficient manner. While it can be tempting to purchase furniture based on cost, make sure that the furniture you purchase for your office is of good quality. With cheap furniture, you get what you pay for. Not only will this make your office look subpar, but poor-quality furniture can affect the health of your employees negatively. Ergonomic office chairs, for example, have been proven to increase productivity and reduce the number of sick days that employees take. Additionally, higher-quality furniture lasts longer than poorly made furniture; this will save you money in the long run. Your lobby is the first thing customers and clients see when they step into your office. It is important that your lobby reflects your business and what your business offers. It should have comfortable seating and should be an extension of your business. Reconfiguring your office does not have to be an overwhelming experience. 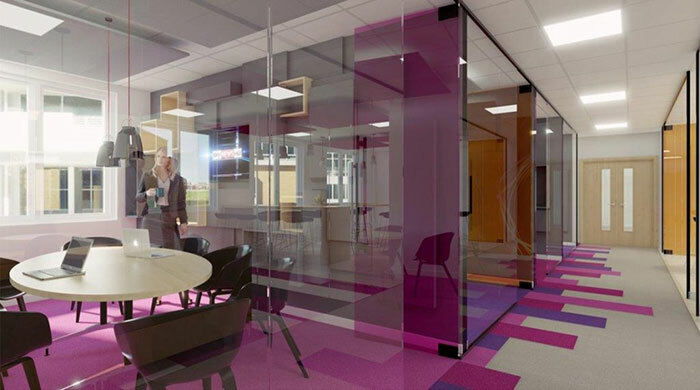 By using these tips when designing your new office, you will be able to create a space that reflects the values of your business and that stimulates pride in the people that work there. Contact the Experts at OFD today or Schedule an Appointment for a Free Consultation. As our culture shifts from work, work, work to promoting a more balanced work life, one of the more notorious changes within offices has been the overall design of the office itself. More and more companies are realizing the importance of creating a space that employees want to work in versus a space that employees have to work in. Many business owners may think that hiring an interior design professional will cost them more money than it would cost to simply re-design their office themselves. However, a professional is able to make strategic choices, does not need to adapt to a design learning curve, and will not have to experiment with different styles (which costs money in the long run). Further, you are able to save time. You can focus on business while a professional interior designer focuses on the aesthetics of your office. A professional designer knows what materials are best and has connections in place to ensure that the items you are receiving are high-quality and long-lasting. This helps avoid the usage of cheap materials that wear down quickly over time. Setting out to re-design an office on your own can become overwhelming. It can be hard to see the bigger picture. A design professional will present you with a mock-up of what you can expect the final product to be. This allows you to add your opinions in so he or she can tweak the plan to fit your wants and needs. Design professionals know how to use the space available to them in a precise way. He or she will ensure that your space is designed in a way that encourages productivity and does not hinder people from getting their jobs done or from moving about the office without obstructions. Hiring a design professional to design your office is a wise choice. A well-designed office is a fantastic way to ensure that employee productivity is boosted, stress is reduced, and that you are able to keep up with the changes in how people work in this day and age. Before you start buying an array of accessories and bulky treadmill desks, it is important to sit down, make a budget, and come up with a list of priorities. Then, you should decide on who will be the main decision maker in regard to designing your new space. If you have the funds, an interior designer is worth consideration as hiring a designer will be less time-consuming. Finally, consider your employees and what they (and your company as a whole) require in order to work as productively and comfortably as possible. Before you begin rearranging the furniture in your office, think about whether or not it is worth keeping. Poorly made furniture or furniture that is worn is not just an eyesore – it is a health hazard. Furniture that is not made with the body in mind can result in various health problems for your employees like chronic back pain, migraines, carpal tunnel syndrome, and eye strain. Ergonomic desk chairs, for example are fantastic places to start when looking for new office furniture. Research has shown that employees report higher satisfaction in their jobs when they are given the freedom to personalize their workspaces or choose where in the office they would like to work. Lighting in an office matters. The more natural light, the better. Studies have shown that 68% of employees report that they are unhappy with the lighting in their offices. If natural light is not possible due to a lack of windows (or sun), consider lighting that mimics natural light. In order for your employees to be productive, they need breaks in areas where work is not permitted. Design a space that does not have computers or anything that would be considered work-related. The more relaxed your employees are, the more productive they will be. By utilizing these five ways to optimize your office layout, you will be able to design an office that is productive and that is simply a great place to work. While open offices are trendy, it is important to read the room. If a majority of your employees are Millennials, an open office plan may work. However, if you have a mix of employees, research has shown that open office plans do more harm than good. In fact, in a 2013 study, 53% of office workers that were surveyed were regularly disturbed by their coworkers when trying to work on private tasks. Productive offices have quiet zones for specific kinds of work that require deep thinking and silence. While you can have a part of your office that is open, designate an area that is portioned off from the rest of the office so employees can have some privacy when needed. Fluorescent light is a mood and productivity killer. Natural light is beneficial for the happiness of your employees. An added bonus is that working in an office with a lot of natural light has been shown to help employees sleep better at night, which can help increase their productivity during the day. Maximize the access that your office has to sunlight. Turn your office into a place that employees enjoy working in. Utilizing bright colors and artwork can help boost productivity by inspiring creativity. Further, an aesthetically-pleasing office is beneficial of terms of client relations. First impressions matter. The better the first impression with a client, the more likely it is that they will utilize your company’s services. Office workers spend a lot of time seated. Proper seating is incredibly important. Invest in chairs that are comfortable and that promote good posture so that your employees do not develop chronic back pain (one of the leading causes of sick days in the office). Further, do not skimp on high-quality computers, scanners, printers, software tools, and fast Wi-Fi. By utilizing these four office design tips, you will be able to boost productivity by creating an environment that is enjoyable to work in.